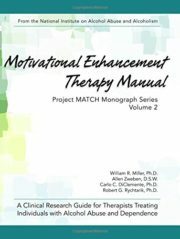 The success of Motivational Enhancement Therapy (MET) as an effective out-patient treatment plan for addiction has brought this valuable manual back in print. MET is an adaptation of the counseling approach known as Motivational Interviewing (MI) that was developed by clinical psychologists Professor William R. Miller, PhD and Professor Stephen Rollnick, PhD. 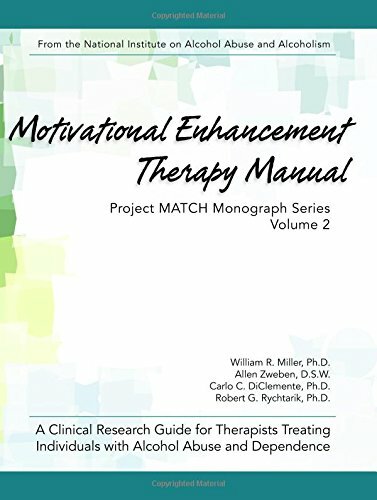 Known for its unique method of facilitating and engaging intrinsic motivation within the client to change behavior, MI was pursued by Project MATCH in 1989 to compare its efficacy for treating patients of alcohol and substance abuse. In this four-session, 90-day recovery plan, the success lies in the cultivation of a client’s inner willingness to overcome previous ambivalence toward treatment.